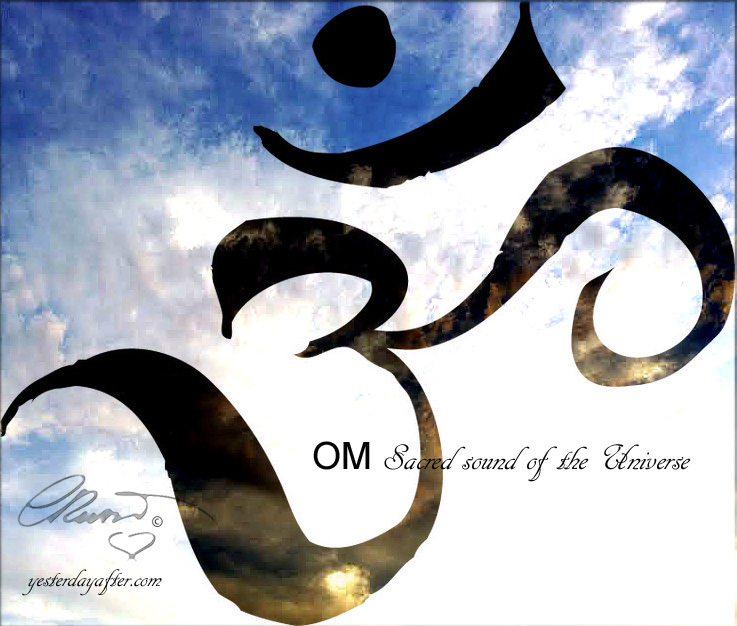 The OM Sacred symbol it is also known as the OM Sacred Sound of the Universe it is not easy to explain the pure meaning in few words. “Om” is familiar to anyone who’s takes yoga classes, where it is often chanted at the beginning and end of the session. If you are not familiar with this symbol you can read more here and in this other source here. 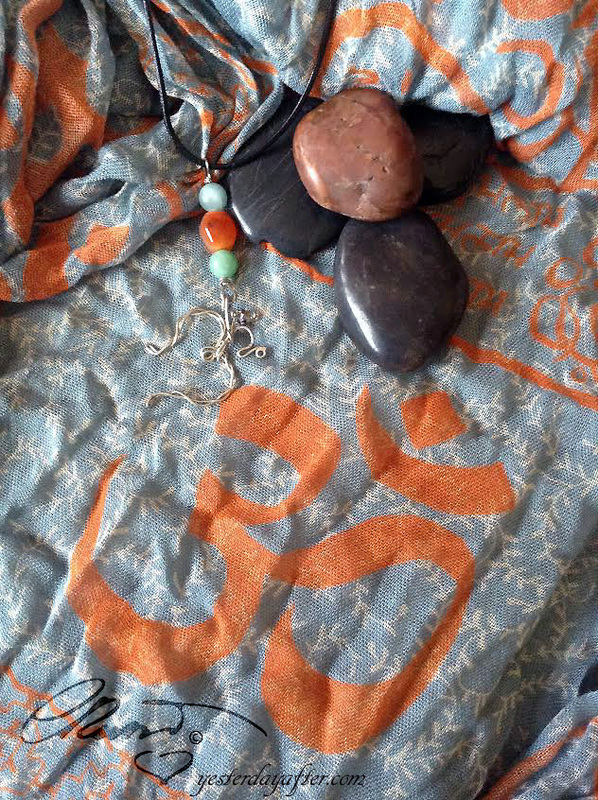 I have been always fascinated by the sacred OM symbol that I wanted to design a necklace representing it. I designed and crafted a silver wired OM pendant created in two pieces. 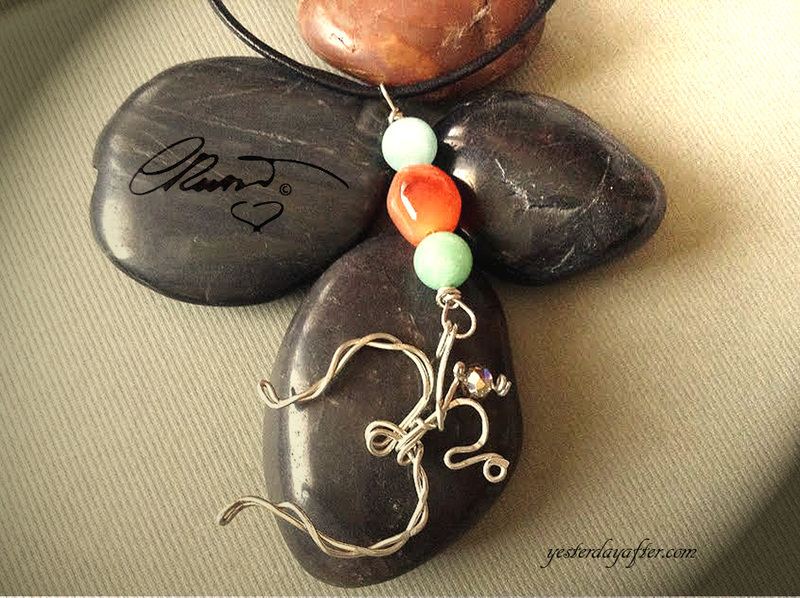 I wanted it to be as accurate as possible while forging, twisting and hammering the silver wire in a OM shape. I selected a beautiful combination of natural healing stones with great meanings, the Orange Agate have the power to harmonize the positive and negative forces that hold the universe in place. 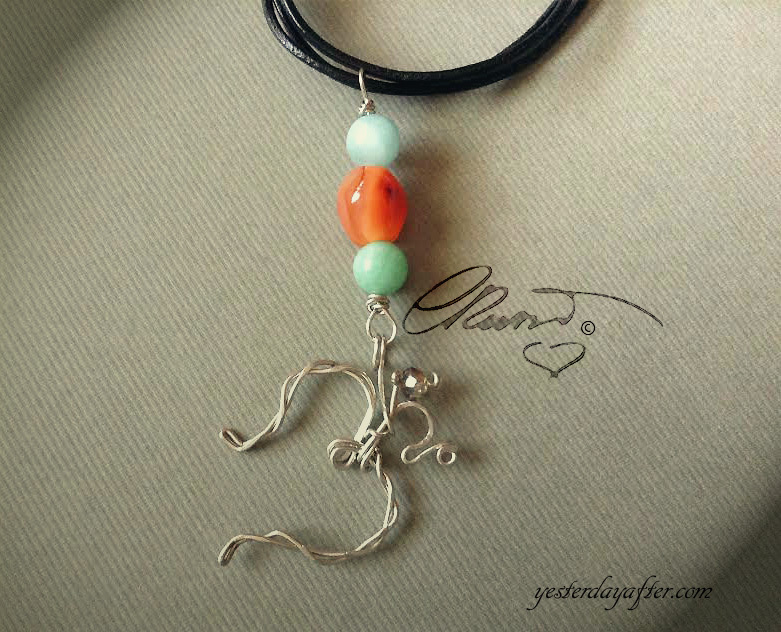 Amazonite in beautiful shades of blue-green soothe the spirit and calm the soul. Smoky Crystal protects against negative energies. Necklace is avaiable in Limited Edition as Custom Order for more info please contact me. Next postMeet and Greet…Who would be Featured Tomorrow???? My modem has died and i am using my iphone app for the first time. I hope my previous comment was received by you. This is beautiful, Carolina. I like the symbolic nature of it. Me too I like that as to do with the sound of the Universe. Your creation captures the essence of the symbol, Carolina. Thank you Raj I am happy that I was able to captured that essence. Thanks Magny! Always beautiful to see you here! ❤ lots of love and have a lovely weekend! Beautiful creation. Such an artwork. Love this.